Richard Demille Wyckoff (1873–1934) was an early 20th-century pioneer in the technical approach to studying the stock market. He is considered one of the five “titans” of technical analysis, along with Dow, Gann, Elliott and Merrill. At age 15, he took a job as a stock runner for a New York brokerage. Afterwards, while still in his 20s, he became the head of his own firm. He also founded and, for nearly two decades wrote, and edited The Magazine of Wall Street, which, at one point, had more than 200,000 subscribers. Wyckoff was an avid student of the markets, as well as an active tape reader and trader. He observed the market activities and campaigns of the legendary stock operators of his time, including JP Morgan and Jesse Livermore. From his observations and interviews with those big-time traders, Wyckoff codified the best practices of Livermore and others into laws, principles and techniques of trading methodology, money management and mental discipline. From his position, Mr. Wyckoff observed numerous retail investors being repeatedly fleeced. Consequently, he dedicated himself to instructing the public about “the real rules of the game” as played by the large interests, or “smart money.” In the 1930s, he founded a school which would later become the Stock Market Institute. The school's central offering was a course that integrated the concepts that Wyckoff had learned about how to identify large operators' accumulation and distribution of stock with how to take positions in harmony with these big players. His time-tested insights are as valid today as they were when first articulated. This article provides an overview of Wyckoff's theoretical and practical approaches to the markets, including guidelines for identifying trade candidates and entering long and short positions, analysis of accumulation and distribution trading ranges and an explanation of how to use Point and Figure charts to identify price targets. Although this article focuses exclusively on stocks, Wyckoff's methods can be applied to any freely-traded market in which large institutional traders operate, including commodities, bonds and currencies. 1. Determine the present position and probable future trend of the market. Is the market consolidating or trending? Does your analysis of market structure, supply and demand indicate the direction that is likely in the near future? This assessment should help you decide whether to be in the market at all and, if so, whether to take long or short positions. Use both bar charts and Point and Figure charts of the major market indices for Step 1. 2. Select stocks in harmony with the trend. In an uptrend, select stocks that are stronger than the market. For instance, look for stocks that demonstrate greater percentage increases than the market during rallies and smaller decreases during reactions. In a downtrend, do the reverse – choose stocks that are weaker than the market. If you are not sure about a specific issue, drop it and move on to the next one. Use bar charts of individual stocks to compare with those of the most relevant market index for Step 2. 3. Select stocks with a “cause” that equals or exceeds your minimum objective. A critical component of Wyckoff's trade selection and management was his unique method of identifying price targets using Point and Figure (P&F) projections for both long and short trades. In Wyckoff's fundamental law of “Cause and Effect,” the horizontal P&F count within a trading range represents the cause, while the subsequent price movement represents the effect. Therefore, if you are planning to take long positions, choose stocks that are under accumulation or re-accumulation and have built a sufficient cause to satisfy your objective. Step 3 relies on the use of Point and Figure charts of individual stocks. 4. Determine the stocks' readiness to move. Apply the nine tests for buying or for selling (described below). For instance, in a trading range after a prolonged rally, does the evidence from the nine selling tests suggest that significant supply is entering the market and that a short position may be warranted? Or in an apparent accumulation trading range, do the nine buying tests indicate that supply has been successfully absorbed, as evidenced further by a low-volume spring and an even lower-volume test of that spring? Use bar charts and Point and Figure charts of individual stocks for Step 4. 5. Time your commitment with a turn in the stock market index. Three-quarters or more of individual issues move in harmony with the general market, so you improve the odds of a successful trade by having the power of the overall market behind it. Specific Wyckoff principles help you anticipate potential market turns, including a change of character of price action (such as the largest down-bar on the highest volume after a long uptrend), as well as manifestations of Wyckoff's three laws (see below). Put your stop-loss in place and then trail it, as appropriate, until you close out the position. Use bar and Point and Figure charts for Step 5. The Composite Man carefully plans, executes and concludes his campaigns. One must study individual stock charts with the purpose of judging the behavior of the stock and the motives of those large operators who dominate it. With study and practice, one can acquire the ability to interpret the motives behind the action that a chart portrays. Wyckoff and his associates believed that if one could understand the market behavior of the Composite Man, one could identify many trading and investment opportunities early enough to profit from them. According to Wyckoff, the market can be understood and anticipated through detailed analysis of supply and demand, which can be ascertained from studying price action, volume and time. As a broker, he was in a position to observe the activities of highly successful individuals and groups who dominated specific issues; consequently, he was able to decipher, via the use of what he called vertical (bar) and figure (Point and Figure) charts, the future intentions of those large interests. An idealized schematic of how he conceptualized the large interests' preparation for and execution of bull and bear markets is depicted in the figure below. The time to enter long orders is towards the end of the preparation for a price markup or bull market (accumulation of large lines of stock), while the time to initiate short positions is at the end of the preparation for price markdown. Wyckoff's chart-based methodology rests on three fundamental “laws” that affect many aspects of analysis. These include determining the market's and individual stocks' current and potential future directional bias, selecting the best stocks to trade long or short, identifying the readiness of a stock to leave a trading range and projecting price targets in a trend from a stock’s behavior in a trading range. 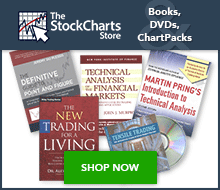 These laws inform the analysis of every chart and the selection of every stock to trade. 1. The law of supply and demand determines the price direction. This principle is central to Wyckoff's method of trading and investing. When demand is greater than supply, prices rise, and when supply is greater than demand, prices fall. The trader/analyst can study the balance between supply and demand by comparing price and volume bars over time. This law is deceptively simple, but learning to accurately evaluate supply and demand on bar charts, as well as understanding the implications of supply and demand patterns, takes considerable practice. One objective of the Wyckoff method is to improve market timing when establishing a position in anticipation of a coming move where a favorable reward/risk ratio exists. Trading ranges (TRs) are places where the previous trend (up or down) has been halted and there is relative equilibrium between supply and demand. Institutions and other large professional interests prepare for their next bull (or bear) campaign as they accumulate (or distribute) shares within the TR. In both accumulation and distribution TRs, the Composite Man is actively buying and selling - the difference being that, in accumulation, the shares purchased outnumber those sold while, in distribution, the opposite is true. The extent of accumulation or distribution determines the cause that unfolds in the subsequent move out of the TR. A successful Wyckoff analyst must be able to anticipate and correctly judge the direction and magnitude of the move out of a TR. Fortunately, Wyckoff offers time-tested guidelines for identifying and delineating the phases and events within a TR, which, in turn, provide the basis for estimating price targets in the subsequent trend. These concepts are illustrated in the following four schematics; two depicting common variants of accumulation TRs, followed by two examples of distribution TRs. Phase A: Phase A marks the stopping of the prior downtrend. Up to this point, supply has been dominant. The approaching diminution of supply is evidenced in preliminary support (PS) and a selling climax (SC). These events are often very obvious on bar charts, where widening spread and heavy volume depict the transfer of huge numbers of shares from the public to large professional interests. Once these intense selling pressures have been relieved, an automatic rally (AR), consisting of both institutional demand for shares as well as short-covering, typically ensues. A successful secondary test (ST) in the area of the SC will show less selling than previously and a narrowing of spread and decreased volume, generally stopping at or above the same price level as the SC. If the ST goes lower than that of the SC, one can anticipate either new lows or prolonged consolidation. The lows of the SC and the ST and the high of the AR set the boundaries of the TR. Horizontal lines may be drawn to help focus attention on market behavior, as seen in the two Accumulation Schematics above. Sometimes the downtrend may end less dramatically, without climactic price and volume action. In general, however, it is preferable to see the PS, SC, AR and ST, as these provide not only a more distinct charting landscape but a clear indication that large operators have definitively initiated accumulation. In a re-accumulation TR (which occurs during a longer-term uptrend), the points representing PS, SC and ST are not evident in Phase A. Rather, in such cases, Phase A resembles that more typically seen in distribution (see below). Phases B-E generally have a shorter duration and smaller amplitude than, but are ultimately similar to, those in the primary accumulation base. Phase B: In Wyckoffian analysis, Phase B serves the function of “building a cause” for a new uptrend (see Wyckoff Law #2 – “Cause and Effect”). In Phase B, institutions and large professional interests are accumulating relatively low-priced inventory in anticipation of the next markup. The process of institutional accumulation may take a long time (sometimes a year or more) and involves purchasing shares at lower prices and checking advances in price with short sales. There are usually multiple STs during Phase B, as well as upthrust-type actions at the upper end of the TR. Overall, the large interests are net buyers of shares as the TR evolves, with the goal of acquiring as much of the remaining floating supply as possible. Institutional buying and selling imparts the characteristic up-and-down price action of the trading range. Early on in Phase B, the price swings tend to be wide and accompanied by high volume. As the professionals absorb the supply, however, the volume on downswings within the TR tends to diminish. When it appears that supply is likely to have been exhausted, the stock is ready for Phase C.
Phase C: It is in Phase C that the stock price goes through a decisive test of the remaining supply, allowing the “smart money” operators to ascertain whether the stock is ready to be marked up. As noted above, a spring is a price move below the support level of the TR (established in Phases A and B) that quickly reverses and moves back into the TR. It is an example of a bear trap because the drop below support appears to signal resumption of the downtrend. In reality, though, this marks the beginning of a new uptrend, trapping the late sellers (bears). In Wyckoff's method, a successful test of supply represented by a spring (or a shakeout) provides a high-probability trading opportunity. A low-volume spring (or a low-volume test of a shakeout) indicates that the stock is likely to be ready to move up, so this is a good time to initiate at least a partial long position. Phase D: If we are correct in our analysis, what should follow is the consistent dominance of demand over supply. This is evidenced by a pattern of advances (SOSs) on widening price spreads and increasing volume, as well as reactions (LPSs) on smaller spreads and diminished volumes. During Phase D, the price will move at least to the top of the TR. LPSs in this phase are generally excellent places to initiate or add to profitable long positions. Phase E: In Phase E, the stock leaves the TR, demand is in full control and the markup is obvious to everyone. Setbacks, such as shakeouts and more typical reactions, are usually short-lived. New, higher-level TRs comprising both profit-taking and acquisition of additional shares (“re-accumulation”) by large operators can occur at any point in Phase E. These TRs are sometimes called “stepping stones” on the way to even higher price targets. BC—buying climax, during which there are often marked increases in volume and price spread. The force of buying reaches a climax, with heavy or urgent buying by the public being filled by professional interests at prices near a top. A BC often coincides with a great earnings report or other good news, since the large operators require huge demand from the public to sell their shares without depressing the stock price. AR—automatic reaction. With intense buying substantially diminished after the BC and heavy supply continuing, an AR takes place. The low of this selloff helps define the lower boundary of the distribution TR. ST—secondary test, in which price revisits the area of the BC to test the demand/supply balance at these price levels. For a top to be confirmed, supply must outweigh demand; volume and spread should thus decrease as price approaches the resistance area of the BC. An ST may take the form of an upthrust (UT), in which price moves above the resistance represented by the BC and possibly other STs before quickly reversing to close below resistance. After a UT, price often tests the lower boundary of the TR. LPSY—last point of supply. After testing support on a SOW, a feeble rally on narrow spread shows that the market is having considerable difficulty advancing. This inability to rally may be due to weak demand, substantial supply or both. LPSYs represent exhaustion of demand and the last waves of large operators’ distribution before markdown begins in earnest. Phase A: Phase A in a distribution TR marks the stopping of the prior uptrend. Up to this point, demand has been dominant and the first significant evidence of supply entering the market is provided by preliminary supply (PSY) and the buying climax (BC). These events are usually followed by an automatic reaction (AR) and a secondary test (ST) of the BC, often upon diminished volume. However, the uptrend may also terminate without climactic action, instead demonstrating exhaustion of demand with decreasing spread and volume; less upward progress is made on each rally before significant supply emerges. In a redistribution TR within a larger downtrend, Phase A may look more like the start of an accumulation TR (e.g., with climactic price and volume action to the downside). However, Phases B through E of a re-distribution TR can be analyzed in a similar manner to the distribution TR at the market top. Phase C: In distribution, Phase C may reveal itself via an upthrust (UT) or UTAD. As noted above, a UT is the opposite of a spring. It is a price move above TR resistance that quickly reverses and closes in the TR. This is a test of the remaining demand. It is also a bull trap—it appears to signal the resumption of the uptrend but in reality is intended to “wrong-foot” uninformed break-out traders. A UT or UTAD allows large interests to mislead the public about the future trend direction and, subsequently, sell additional shares at elevated prices to such break-out traders and investors before the markdown begins. In addition, a UTAD may induce smaller traders in short positions to cover and surrender their shares to the larger interests who have engineered this move. Often demand is so weak in a distribution TR that price does not reach the level of the BC or initial ST. In this case, Phase C's test of demand may be represented by a UT of a lower high within the TR. Phase D: Phase D arrives after the tests in Phase C show us the last gasps of demand. During Phase D, price travels to or through TR support. The evidence that supply is clearly dominant increases either with a clear break of support or with a decline below the mid-point of the TR after a UT or UTAD. There are often multiple weak rallies within Phase D; these LPSYs represent excellent opportunities to initiate or add to profitable short positions. Anyone still in a long position during Phase D is asking for trouble. Analysis of supply and demand on bar charts, through examination of volume and price movements, represents one of the central pillars of the Wyckoff method. For example, a price bar that has wide spread, closing at a high well above those of the previous several bars and accompanied by higher-than-average volume, suggests the presence of demand. Similarly, a high-volume price bar with wide spread, closing at a low well below the lows of prior bars, suggests the presence of supply. These simple examples belie the extent of the subtleties and nuances of such analysis. For instance, labeling and understanding the implications of Wyckoff events and phases in trading ranges, as well as ascertaining when the price is ready to be marked up or down, is based largely on the correct assessment of supply and demand. Wyckoff's first and third laws described above (Supply and Demand and Effort versus Result) embody this core approach. Conventional wisdom of much technical analysis (and basic economic theory) accepts one of the obvious insights of the law of Supply and Demand: when demand to buy shares exceeds sell orders at any time, price will advance to a level where demand decreases and/or supply increases to create a new (transient) equilibrium. The converse is also true: when sell orders (supply) exceed buy orders (demand) at any time, equilibrium will be restored (temporarily) by a price decline to a level where supply and demand are in balance. Wyckoff's third law (Effort versus Result) involves identifying price-volume convergences and divergences to anticipate potential turning points in price trends. For example, when volume (Effort) and price (Result) both increase substantially, they are in harmony, suggesting that Demand will likely continue to propel price higher. In some instances, however, volume may increase, possibly even substantially, but the price does not follow, producing only a marginal change at the close. If we observe this price-volume behavior in a reaction to support in an accumulation trading range, this indicates absorption of supply by large interests, and is considered bullish. Similarly, huge volume on a rally with minimal price advance in a distribution trading range demonstrates a stock's inability to rally because of the presence of significant supply, also from big institutions. Several reactions in the AAPL chart below illustrate the Law of Effort versus Result. In this chart of AAPL, we can observe the principle of Effort versus Result in three price reactions. In the first, we see prices falling on a number of wide-spread bars and volume increasing. This suggests a harmony between volume (Effort) and the decline in price (Result). In the second reaction, price decreases by a similar amount as in Reaction #1, but on smaller spreads and lower volume, indicative of reduced supply, which in turn suggests the potential for at least a short-term rally. In Reaction #3, the swing size decreases, yet volume increases. In other words, the Effort increases while the Result decreases, showing the presence of large buyers absorbing supply in anticipation of a continuation of the rally. Wyckoff's stock selection process always included an analysis of comparative strength. To identify candidates for long positions, he looked for stocks or industries that were outperforming the market, both during trends and within trading ranges, whereas, with short positions, he looked for underperformers. All of his charting, including bar and Point and Figure charts, was done by hand. Therefore, he conducted his comparative strength analysis between a stock and the market, or between a stock and others in its industry, by placing one chart under another, as in the example below. Wyckoff compared successive waves or swings in each chart, examining the strength or weakness of each in relation to prior waves on the same chart and to the corresponding points on the comparison chart. A variation of this approach is to identify significant highs and lows and note them on both charts. One can then evaluate the strength of the stock by looking at its price relative to the previous high(s) or low(s), doing the same thing on the comparison chart. In these charts of AAPL and the NASDAQ composite index ($COMPX), AAPL is making a lower high at point #3 (relative to point #1), whereas the $COMPX is making a higher high at that point. This shows that AAPL is underperforming the market at point #3. The picture changes in February: AAPL is starting to outperform the market by making a higher high at point #5 and higher low at #6 relative to the market, which is making a lower high at point #5 and a lower low at point #6. In his stock selection, Wyckoff would enter long positions in stocks that showed similar strength relative to the market, assuming that these candidates met other criteria as well, as discussed in the Nine Buying/Selling Tests, below. Whereas the three Wyckoff laws provide a big-picture foundation for the Wyckoff method, the nine buying and selling tests are a set of narrower, specific principles to help guide trade entry. These tests help delineate when a trading range is drawing to a close and a new uptrend (markup) or downtrend (markdown) is about to begin. In other words, the nine tests define the line of least resistance in the market. Below is a listing of the nine buying tests and nine selling tests, including the references to which kind of chart should be used. The downtrend in this example of AAPL concludes with Preliminary Support (PS), a Selling Climax (SC), an Automatic Rally (AR) and a Secondary Test (ST), which combine to satisfy Test #2. Volume contracts throughout the trading range and prices start to make higher highs and higher lows – this shows a decrease and absorption of supply and ease of upward movement, despite decreasing demand. Once supply has been exhausted, price can rise on lower demand than one might otherwise expect. Such activity is bullish and satisfies Test #3. The downward stride and downtrend channel have been broken and price consolidates in the trading range – Test #4 is satisfied. In February-April 2009, AAPL makes higher highs and higher lows, all of which are stronger than the market. This satisfies Tests #5, 6 and 7. The stock has spent six months consolidating and has built a cause sufficient for a substantial future advance. The base is formed, satisfying Test #8. Note that tests #1 and #9 could only be met through the use of P&F charts. Guidelines for horizontal counting in a trading range are discussed in the following section of this article. Wyckoff developed a uniquely effective method to identify price targets for both long and short trades using Point and Figure (P&F) charts. This method embodies Wyckoff's fundamental law of Cause and Effect, where the horizontal P&F count within a trading range represents the Cause and the subsequent price movement out of the trading range represents the Effect. Use a bar chart and a P&F chart encompassing the same trading range(s) and timeframe. Choose an appropriate box size for the P&F chart: e.g., for low-priced stocks, the box size could be 0.5 to 1 point, whereas for high-priced (> $200) stocks, a box size of 5 points would be more appropriate. The box size for the Dow Jones Industrial Average could be 100 points. After identifying a sign of strength (SOS) towards the right side of the TR on the bar chart, locate the last point at which support was met on a reaction—the last point of support (LPS). Locate this point on your P&F chart also and count from right to left at the price level of the LPS, taking your most conservative count first and moving further to the left as the move progresses. These increments in counts should be based on phases corresponding to specific Wyckoff events within the TR. In moving to the left, turn to your bar chart and divide the area of accumulation into phases, adding one complete phase at a time. Note that P&F phases are NOT the same as Phases A – E used in the analysis of trading ranges described in previous sections on Accumulation and Distribution. Never add only part of a P&F phase to your count. Volume and price action will usually show where the phase began and ended. For instance, the first phase can consist of the P&F count from the LPS back to the spring, while the second phase covers the count from the spring to a clearly defined ST. In the case of a longer-term count involving multiple P&F phases, the LPS often appears at the original level of preliminary support or the SC. When the LPS occurs at either of these levels, this tends to validate the count. A spring may also serve as the LPS from the perspective of the P&F count. Usually a spring is followed by an SOS, and the low of the reaction following that SOS is also a valid LPS. As the trend progresses, you will often see price consolidation, or a new trading range, forming at a higher (or, in a downtrend, lower) level. Very often, this will produce a “stepping stone confirming count” of the original P&F count. Thus, as the new TR forms, you can often get a timing indication by watching the action of the stock as the potential count begins to confirm the original count. In other words, as the price target projected from the stepping-stone TR approaches that of the original TR, the upward or downward trend may be ready to resume. Because the price swings within these stepping-stone consolidations are typically narrower than those in primary accumulation or distribution TRs, it is preferable to use a smaller box size to measure P&F counts within the former. For example, long-term counts on three-point and five-point charts are frequently confirmed by subsequent minor counts using a one-point chart in re-accumulation TRs. For longer-term price targets, you should add the P&F count to the exact low of the trading range in which the count is being measured, as well as to the halfway point between the low and the price level of the count line. You will thus be using the most conservative count(s) as a guide so as to estimate more realistic minimum price targets. Price targets derived from Wyckoff P&F counts represent points where you should “stop, look and listen.” These targets should never be looked upon as exact points of where a trend will change; instead, use them as projected points where a turn could occur. Additionally, you can use the bar chart to observe the price action and volume as these points are approached. In case of three-point or five-point charts, the same count line should be used as for one-point charts. Below is an example of horizontal stepping stone P&F counts for the Dow Jones Industrial Average (DJIA). The box size is 100 points with 3-box reversals. Therefore, to calculate price targets, tally the number of columns at the level of the count line, multiply that sum by 100 (the box size) and 3 (the reversal metric), then add this product to the count line (producing the maximum price objective), the low of the trading range (minimum price objective) and the half-way point. The maximum P&F objectives for the DJIA project a potential stopping and consolidating action around the target areas. The pioneering work of Richard D. Wyckoff in the early twentieth century was centered around the realization that stock price trends were driven primarily by institutional and other large operators who manipulate stock prices in their favor. Many professional traders today use Wyckoff's method, but his overall approach is still not widely-followed among retail traders, even though his educational efforts were intended to teach the public the “real rules of the game.” Nonetheless, his stock selection and investment methodology has stood the test of time, largely due to its thorough, systematized and logical structure for identifying high-probability and highly profitable trades. The discipline involved in this approach allows the investor to make informed trading decisions unclouded by emotion. Using Wyckoff's method, one can invest in stocks by capitalizing on the intentions of the large “smart money” interests, rather than being caught on the wrong side of the market. Attaining proficiency in Wyckoff analysis requires considerable practice, but is well worth the effort.